Could you help me name this newest bunny? 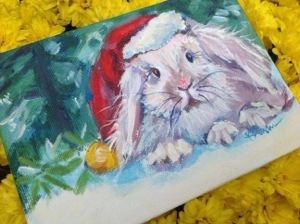 Comment on my blog with your suggestion for a title for this 5×7 acrylic painting. If I choose your suggestion you could win a Christmas print.